There are those who would spend a fortune just to experience unforgettable tastes like this 100% Iberico ham, produced in Spain. A leg of the best cured ham can cost thousands of dollars, but this does not put off those who can afford it. But what is life like for those who make this super-expensive ham? 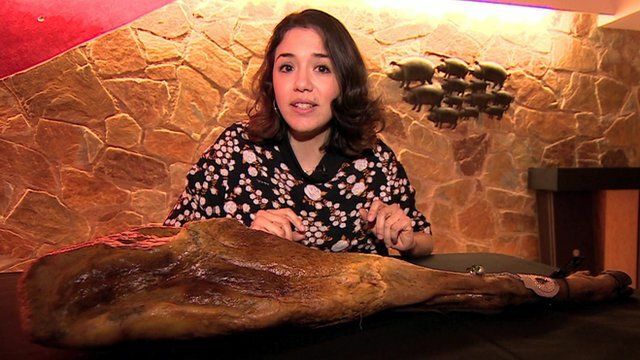 The BBC's Gabriela Torres visited a farm in Extremadura, Spain, to find out.